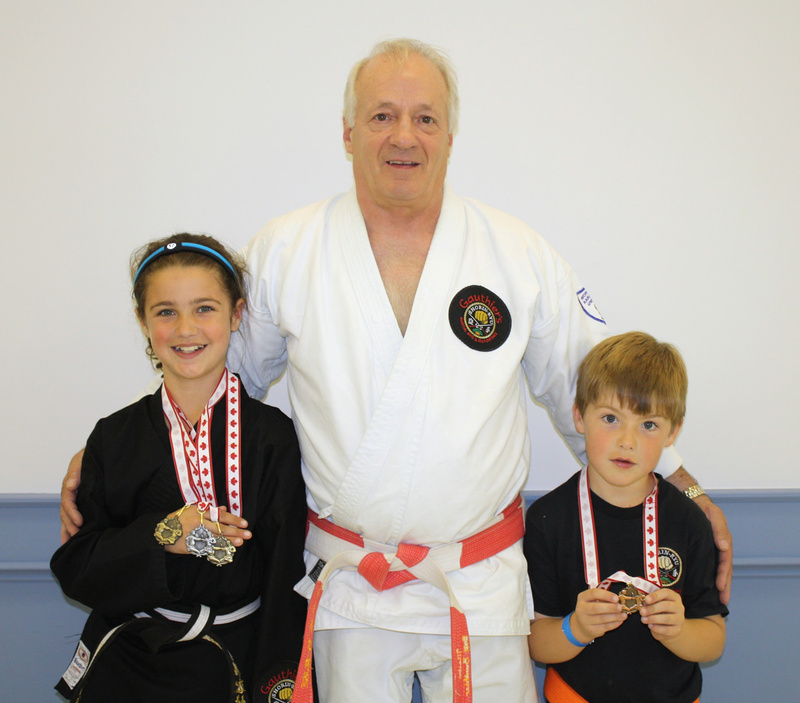 The medals won in the Dominican are the result of toil and sweat in Gauthier’s upstairs dojo on Mississaga Street and in the duo’s home away from home in Bowmanville. “We took the kids down for training to a club in Bowmanville every other weekend (for nine hours of work over two days) and for 40 hours of training over the Christmas break,” said Jackie Givens. “That really helped them get prepared for worlds.” And while there was a lot of travel and sacrifice, Givens said she doesn’t regret it. “It was worth every minute to see these kids with their medals, to see their hard work pay off… It’s awesome,” she said. But the medals are just part of the equation. Kieran, the youngest Canadian competitor at the international event, got to carry the Canadian flag in the opening ceremonies and both he and Sloane made new friends. “I became friends with Kieran. He was six, too,” said Kieran of the boy with the same name from Great Britain whom he befriended. The English lad gave the Orillia boy his Great Britain training jacket as a gift. “This is an experience that these kids — and us — will never forget,” said Givens. Rob Sloane agreed, noting that the sojourn south was a great getaway that taught all of them much about the world around them. He said they learned about a team from Venezuela that was supposed to be competing there; the whole team was killed in a mudslide. The event was dedicated to their memory. “It’s a good experience for the kids because they get to meet people from other parts of the world and learn about different cultures, so it’s great,” he said. Website designed by Launch Your Site | Copyright © 2019 Gauthier's Martial Arts | Orillia, ON | All Rights Reserved.